Our sweet wee boy turned three last month. Three! Can you believe it? 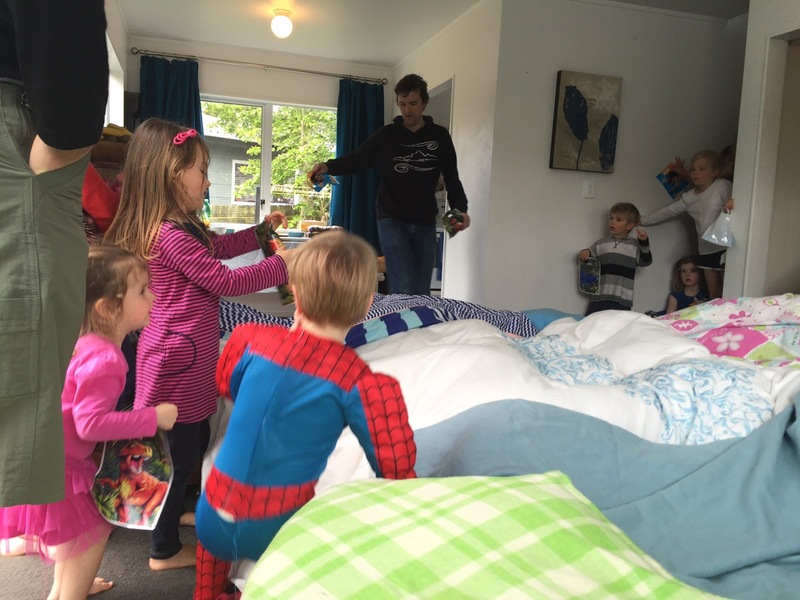 For months leading up to his party, J talked about it and all the lollies and toys there would be. He also changed his party theme every time he talked about it. Finally I just called it and invited his cousins and friends to a mashup Pirate Dinosaur Birthday party. 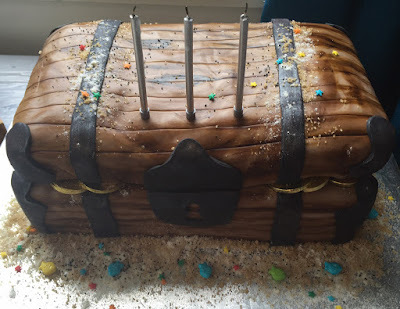 My sister-in-law Mandy made the amazing pirate treasure chest Birthday cake. And when you get a load of the pirate cookies I decorated, you'll see why I entrusted the cake decorating to someone with actual skill. 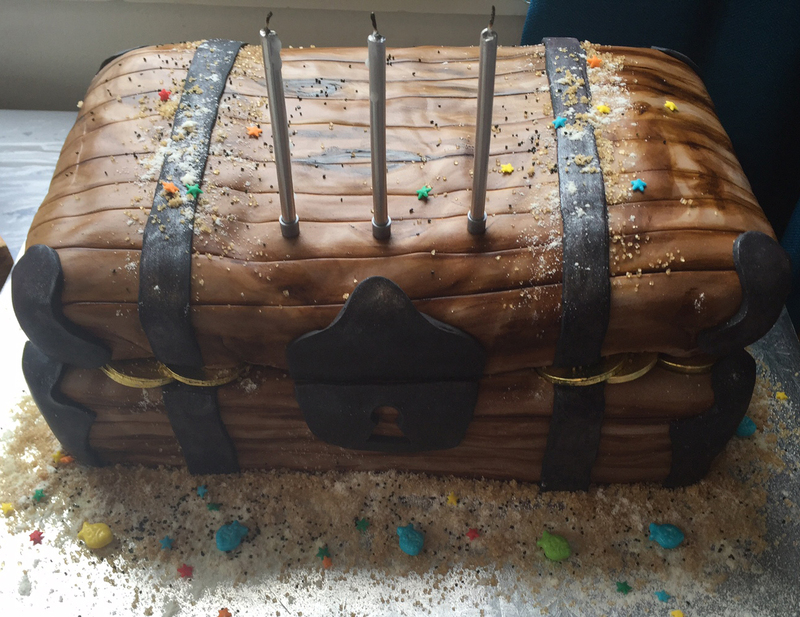 Mandy made the bottom of the chest with lolly cake, and the top with white chocolate mud cake. 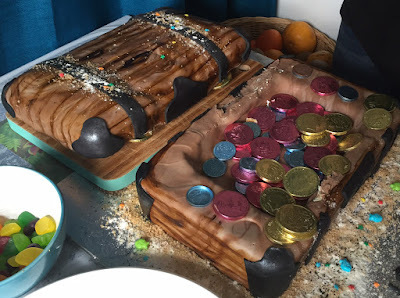 She also filled the inside of the chest with chocolate coins. I also made mini dinosaur cupcakes - vanilla with white chocolate icing. My mother-in-law gave us a big bag of green kiwifruit a few days before the party, but my kids usually only eat the gold ones. 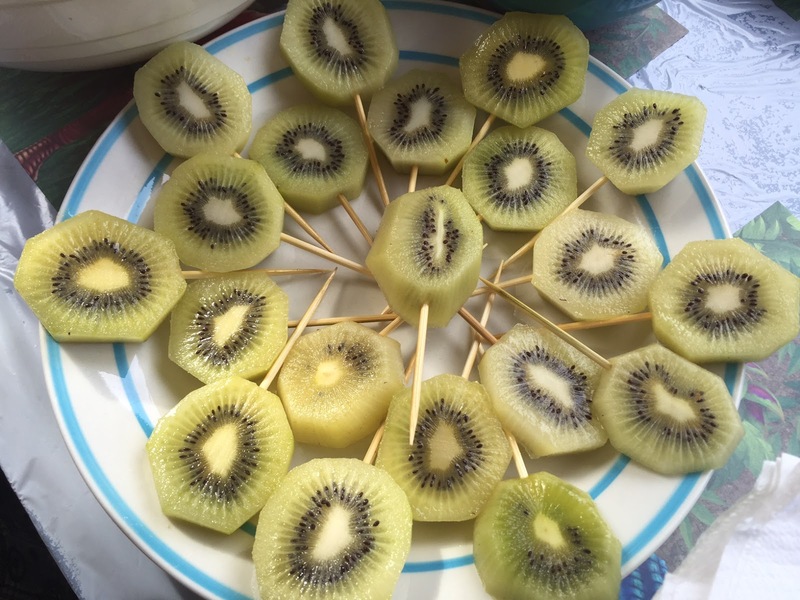 Never fear - whack a lollipop stick in them and suddenly they're everybody's favourite food. My mother-in-law also gave me a big bag of grapefruit, so I squeezed them and made grapefruit juice for the party. 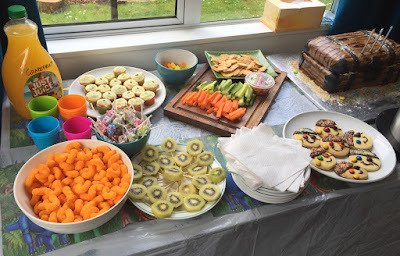 Other food included cocktail sausages, cheesie dibbles, lollipops - J's favourite!, and vege crudites and crackers with dip. We didn't go as crazy with the party games as we did with L's party. We just organised one game of pass the parcel and an under the sea treasure hunt (searching for gold coins under a blanket maze in the lounge). Under the sea treasure hunt. 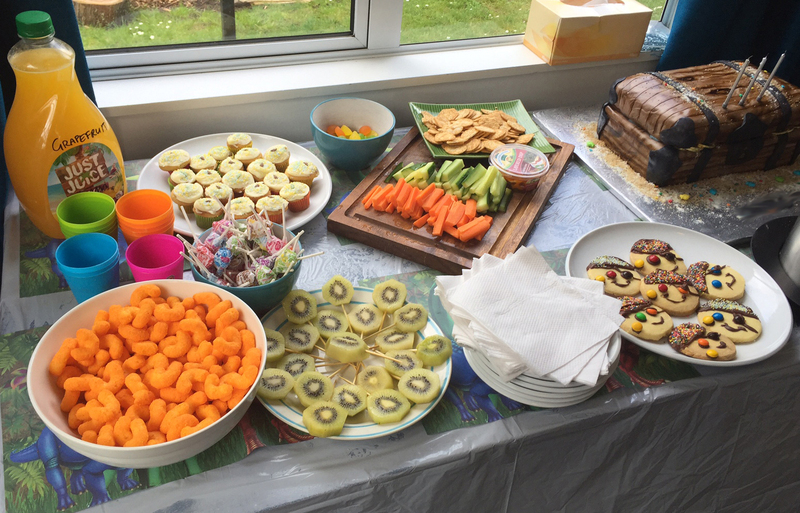 It was a sweet little party and very low stress for us, but J had a blast. Happy Birthday my baby. 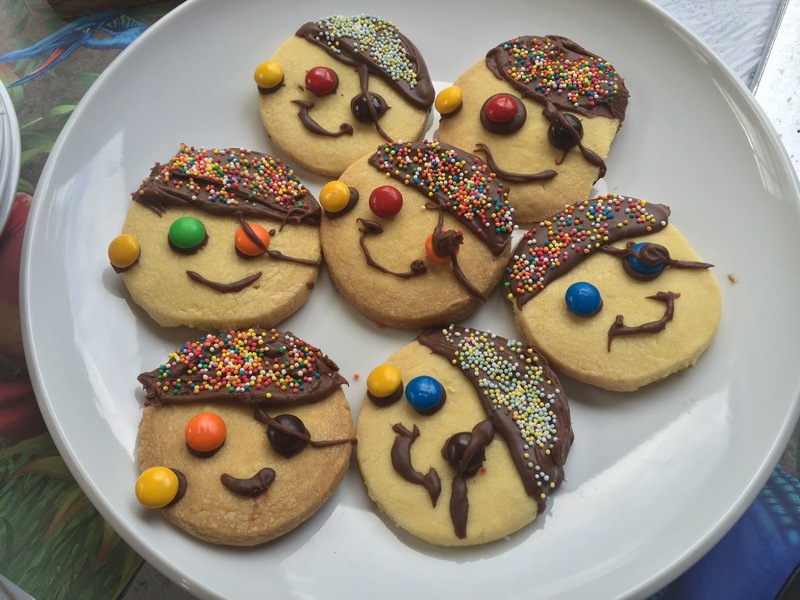 Looks like fun and I love the pirate cookies! 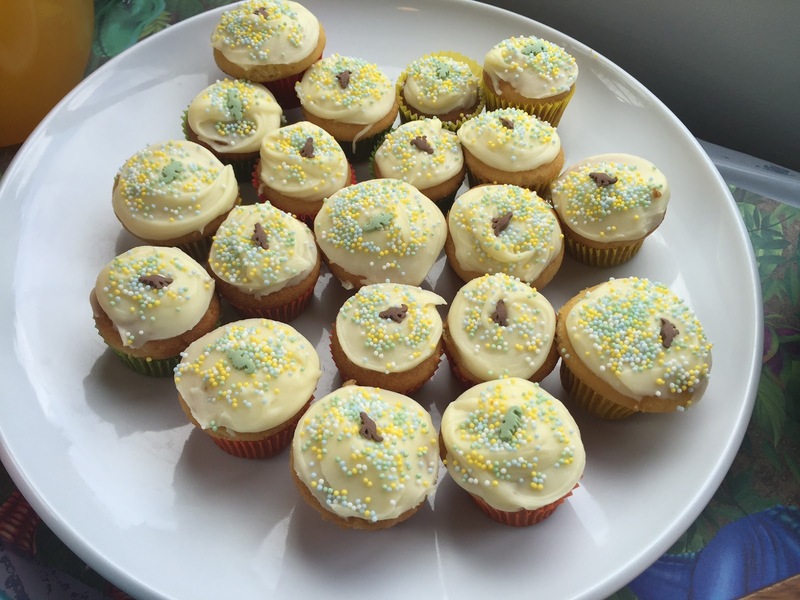 The cookies look great well done.